According to our Green Management 2020, a programme handling Sony’s global environmental responsibility as a part of Sony’s Road to Zero, we are also committed to the defined targets and actions, one of them being the promotion of local environmental activities. 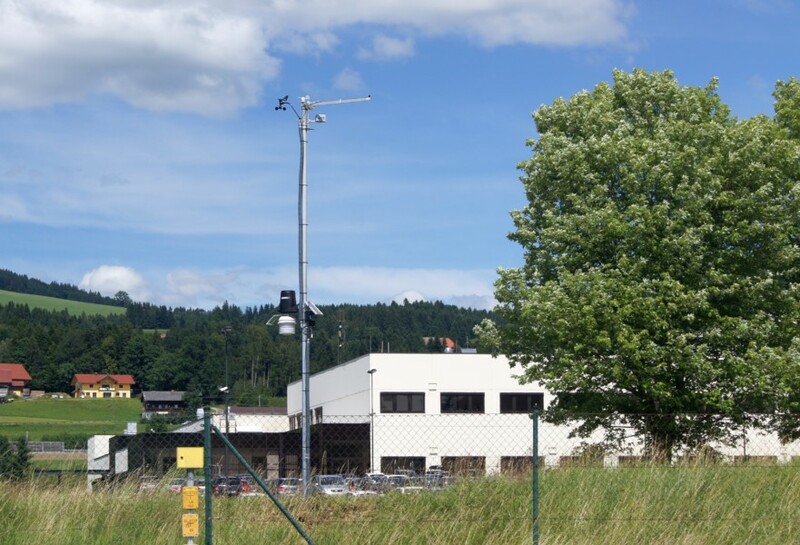 Following detailed planning and in close cooperation with the Department of Geoinformatics of the University of Salzburg, a landscape laboratory has now been put into operation on the Sony DADC company ground in Thalgau, Austria. 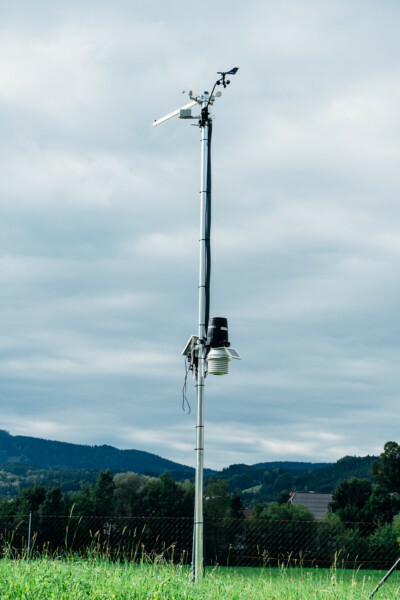 The weather station is part of the Koppl Landscapelab, a network of similar weather stations located in the nearby areas of Koppl and Thalgau. 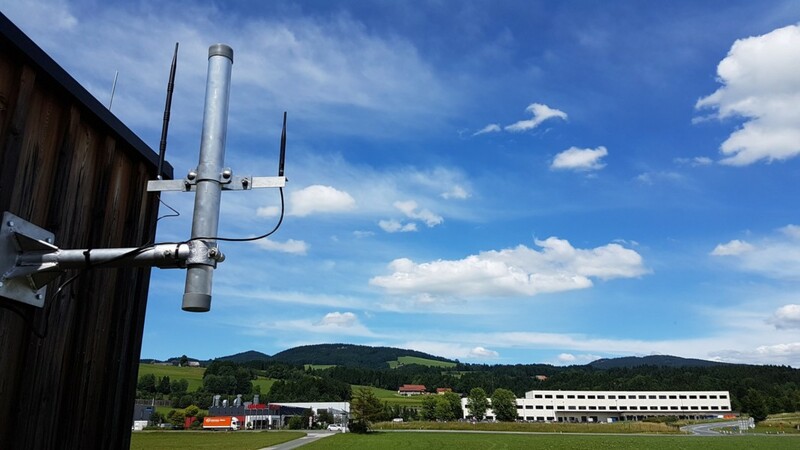 Prof. Dr. Hermann Klug from the Department of Geoinformatics of the University of Salzburg and his team hope to improve both data and reaction on future extreme weather events, such as floods, landslides as well as the nutrient inputs in the area. 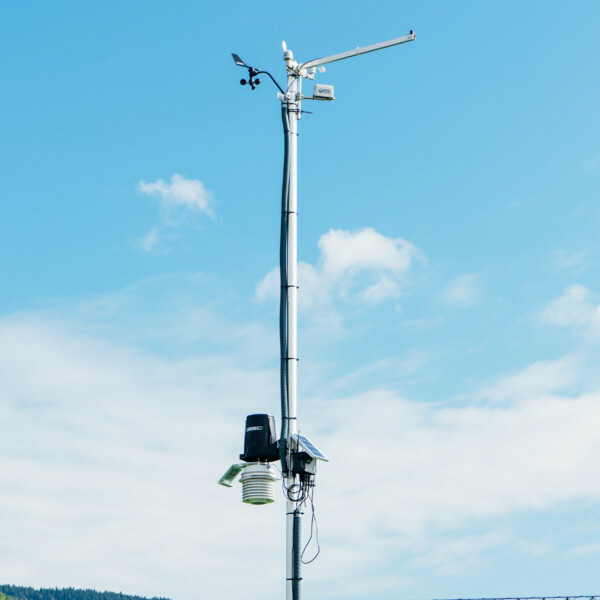 The network of landscape laboratories records hydrological, meteorological and soil data, using a range of wireless sensors. The collected information will be evaluated and improve the understanding of the water cycle in the catchment area of lake Mondsee. An ombrometer is used to measure the amount of rainfall over a particular time. As the water flows above ground or drains into the ground soil, it is important to know how much water is already stored in the soil or is newly added after the rain. Additional soil moisture sensors provide data from 25, 50 and 75 cm depth. The solar radiation provides important information to calculate the amount of evaporated water into the air. The air temperature is measured in a ventilated weather hut to protect the thermometer against direct sunlight. The wind meter is oriented to the north and captures the prevailing wind direction. The wind speed is an important parameter for the calculation of water evaporation. 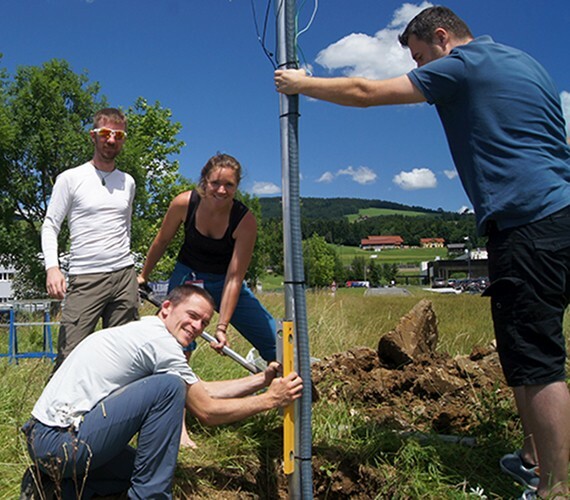 The Landscape Laboratory is contributing to a better understanding and monitoring of environmental changes in the local area of Thalgau and Koppl as well as the catchment area of lake Mondsee. We are glad to support the University of Salzburg on this project as part of our environmental commitment.